How do I read the Activity Analysis? The first Activity Analysis page shows each activity pack. 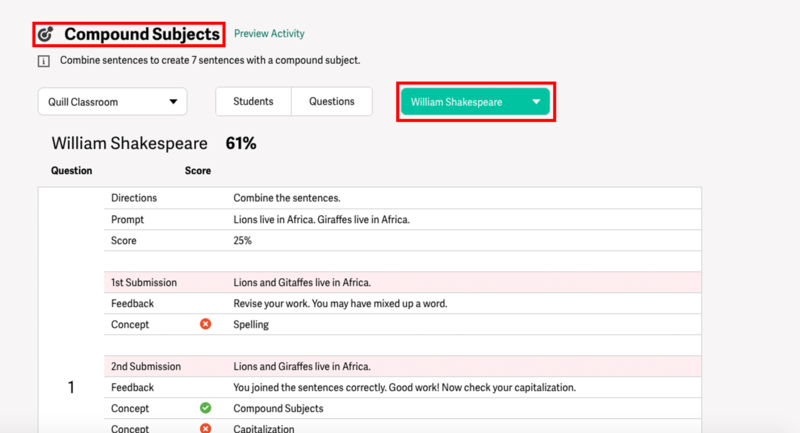 Next to the name of each activity, you will see how many of your students completed the activity and the average student score. Click the name of an activity to see more details. 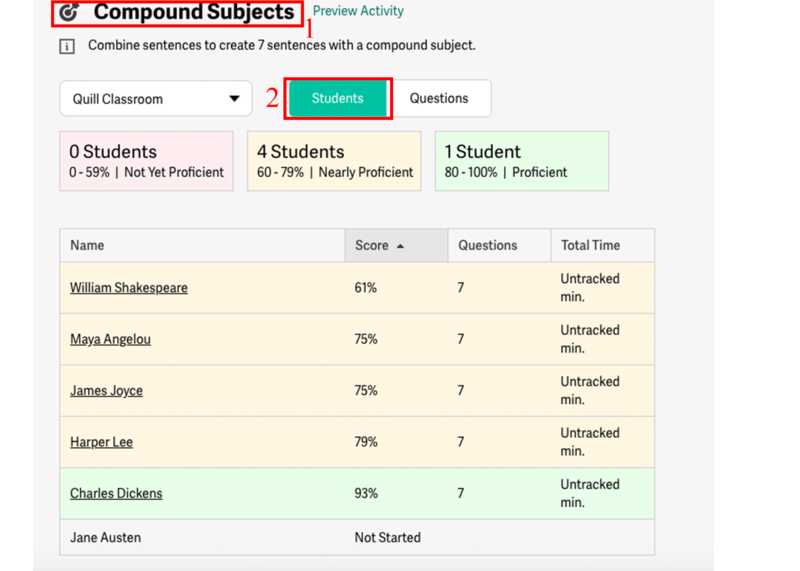 Under "Students," you can see the proficiency of each student, their score, and the time it took to complete the activity. 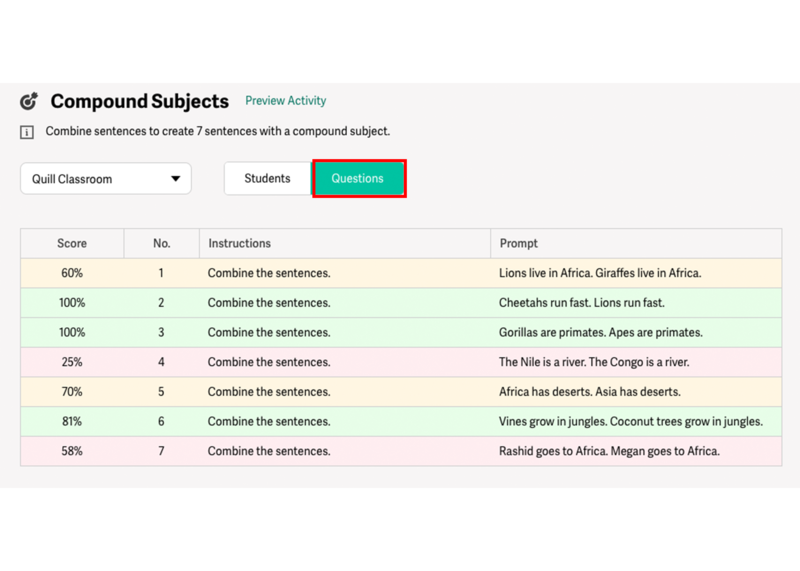 Under "Questions" you can see the individual questions in each activity. The color reflects how well your students did on each question overall. Click the name of a student under the "Student" tab to see the student's individual responses. The "Concept" section shows which concepts students answered correctly or incorrectly in each attempt.